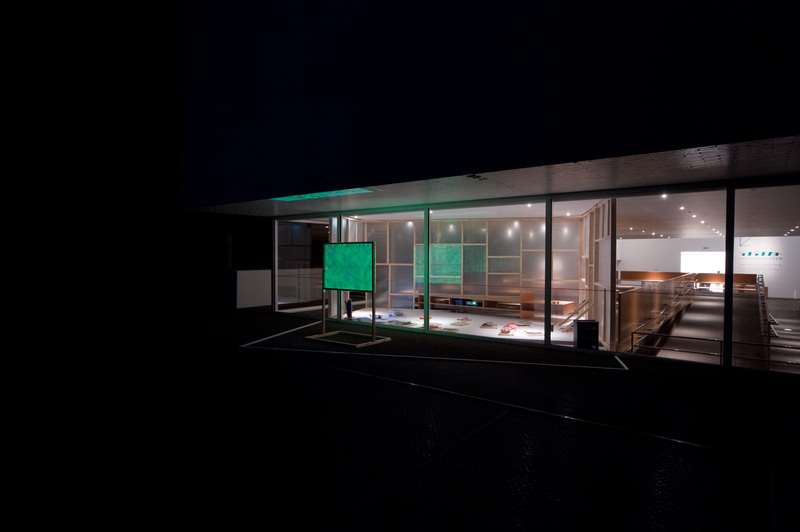 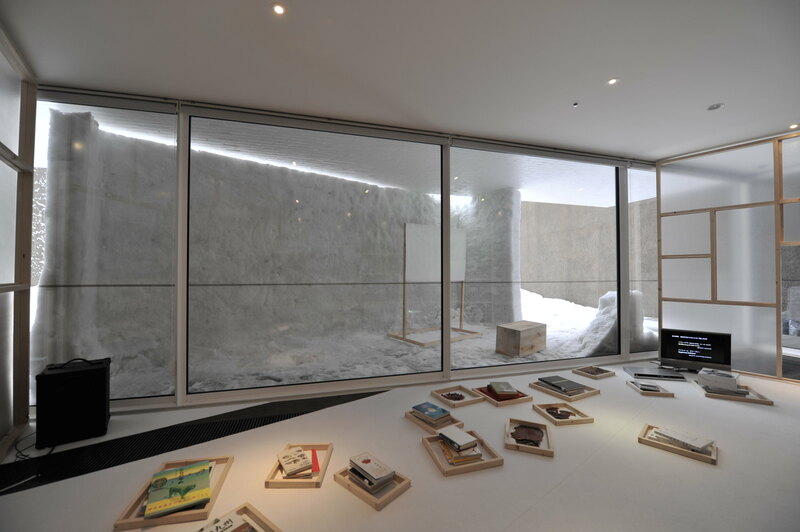 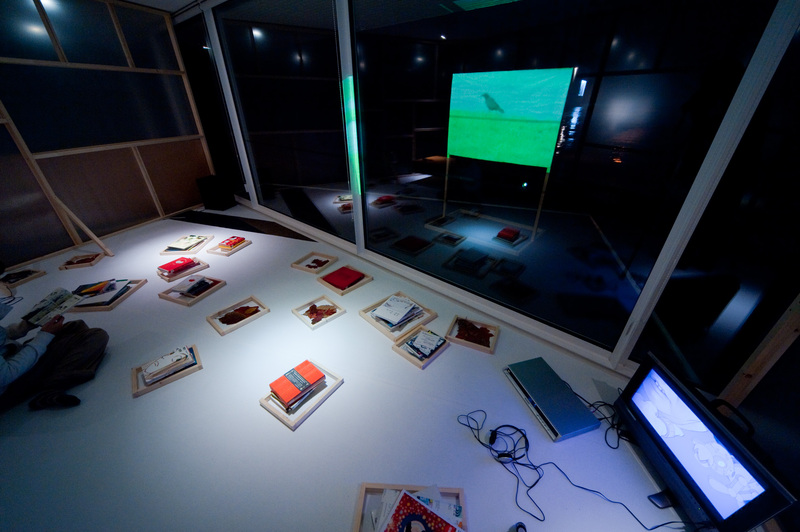 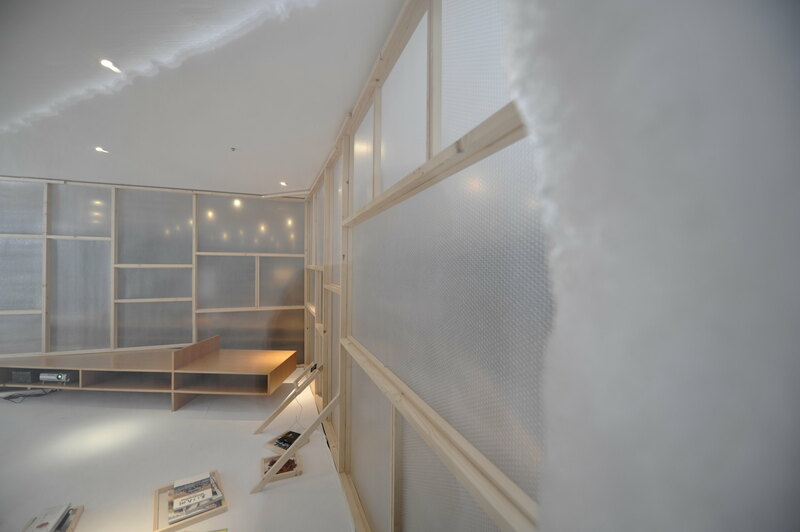 An installation designed as a temporary library to showcase exhibition-related books, audios and videos. 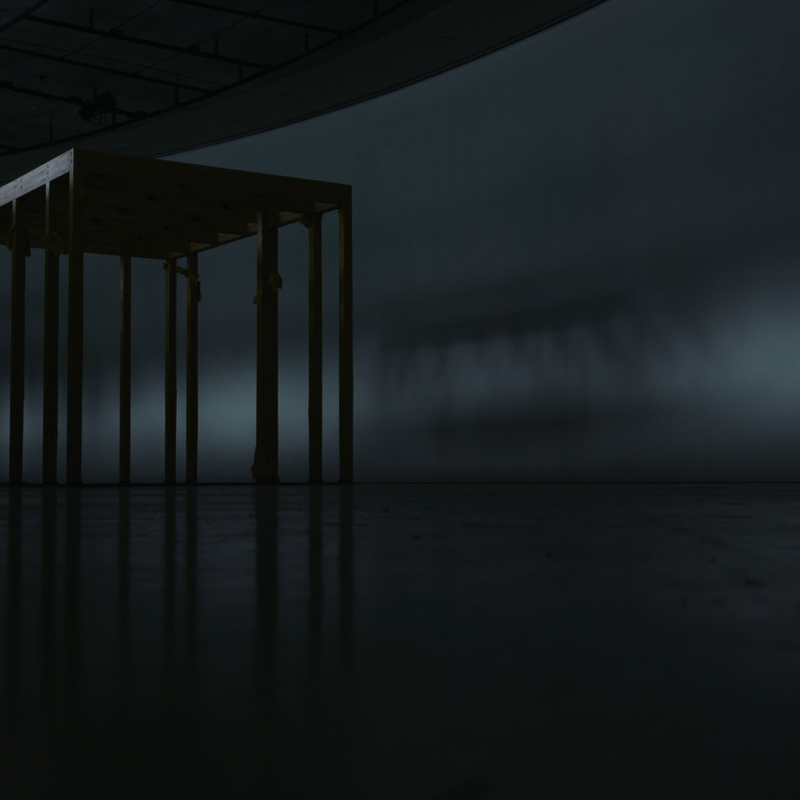 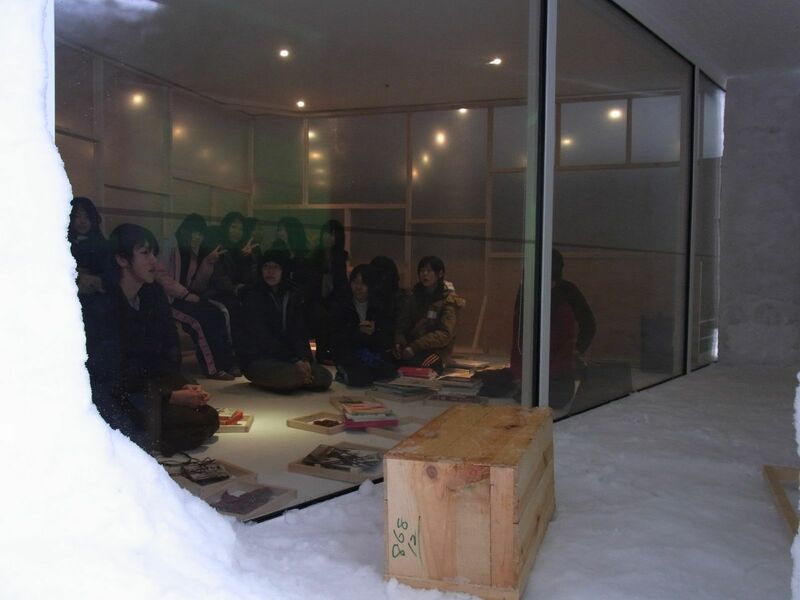 Commissioned by Aomori Museum of Art at the occasion of their contemporary art group show. 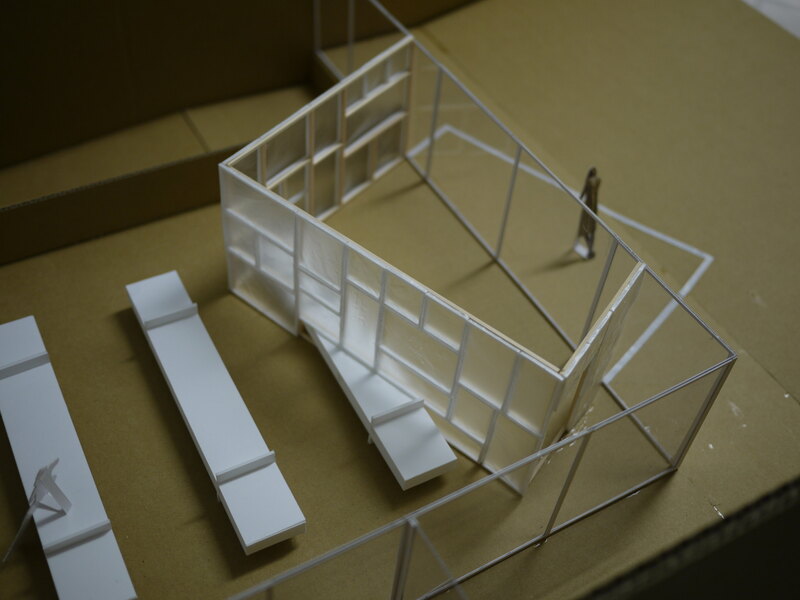 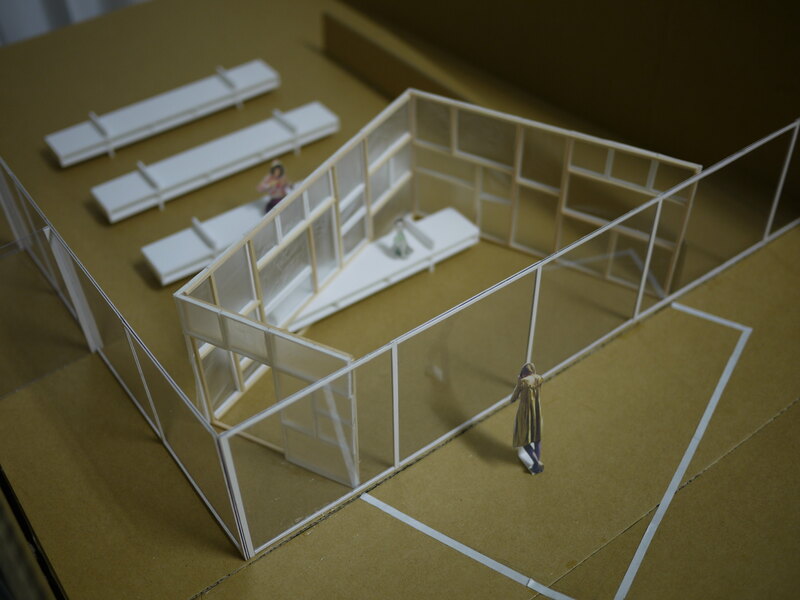 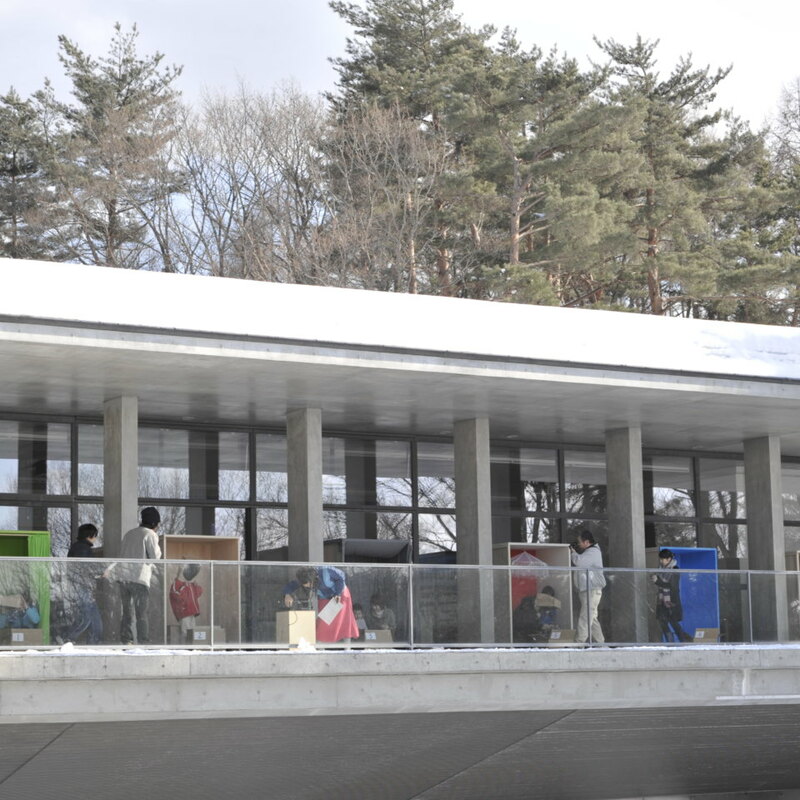 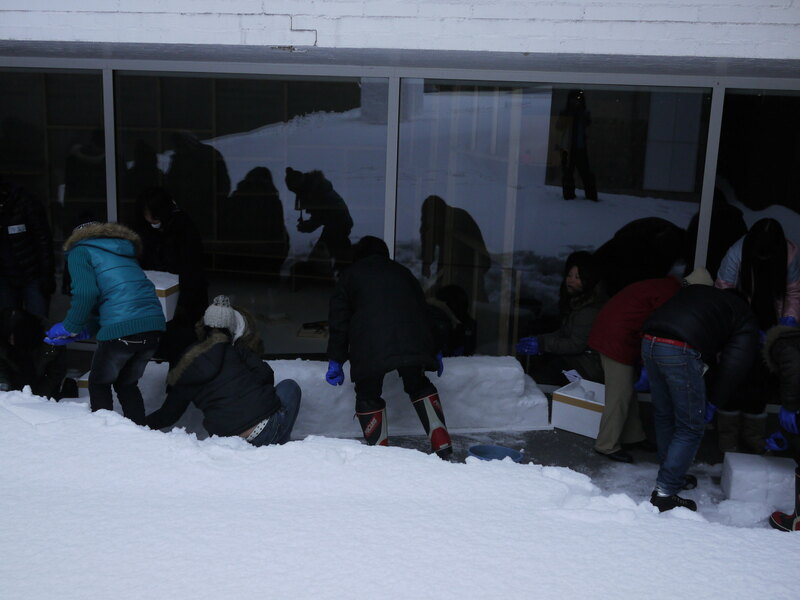 It also had to work beyond the framework of the show and the museum itself, directly interacting with the museum building designed by Japanese architect Jun Aoki. 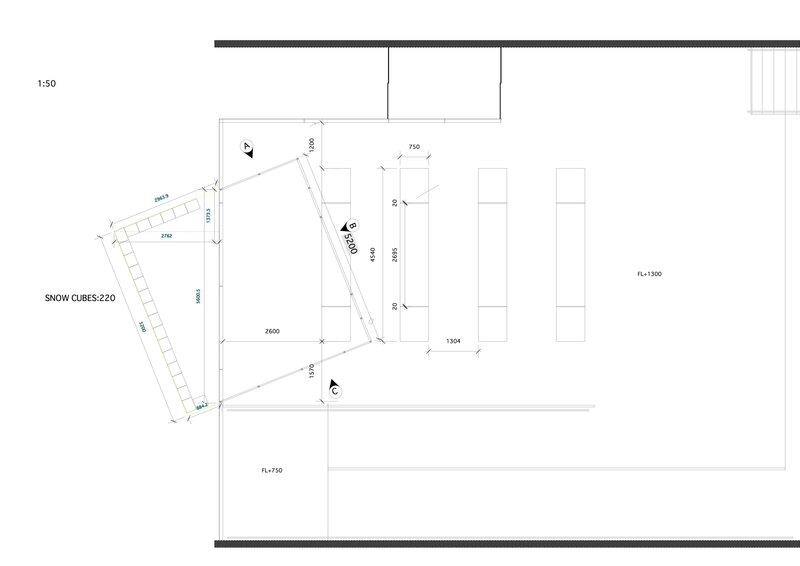 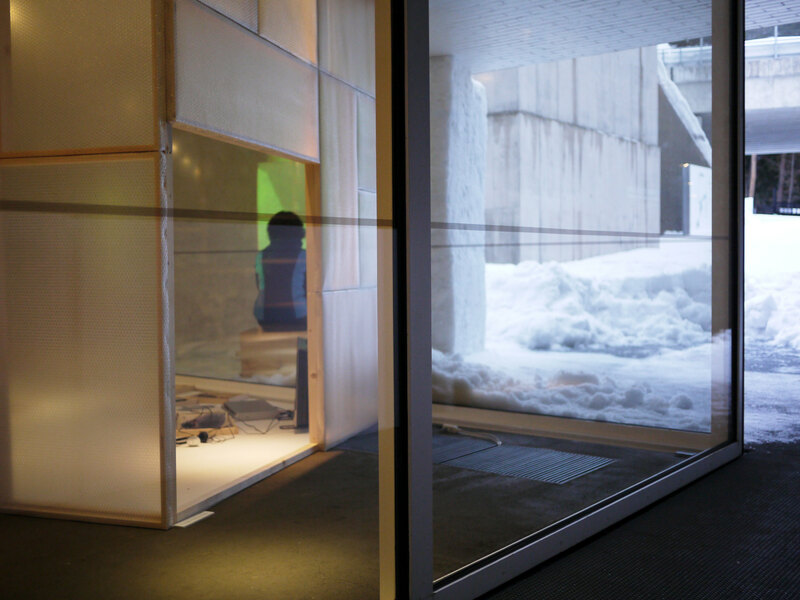 We decided to locate the temporary architecture half inside the museum and half outside it separating the volume with a glass window in the middle. 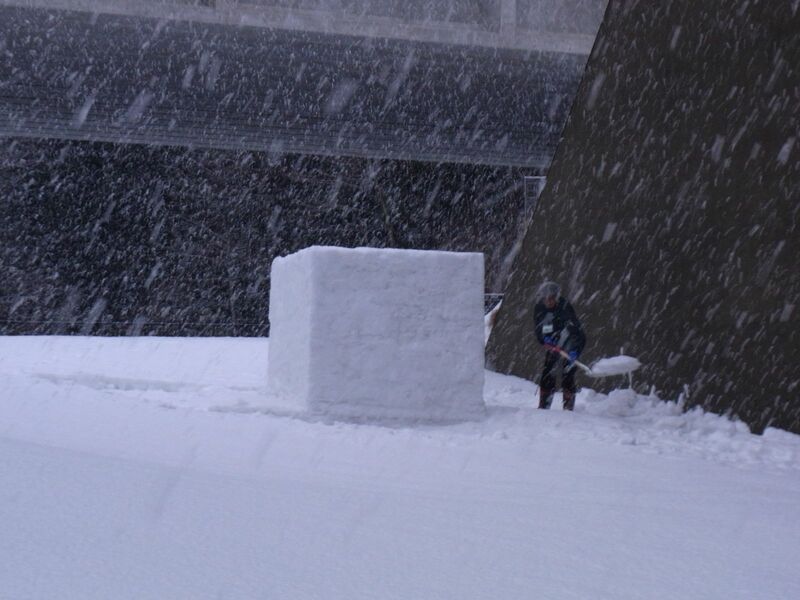 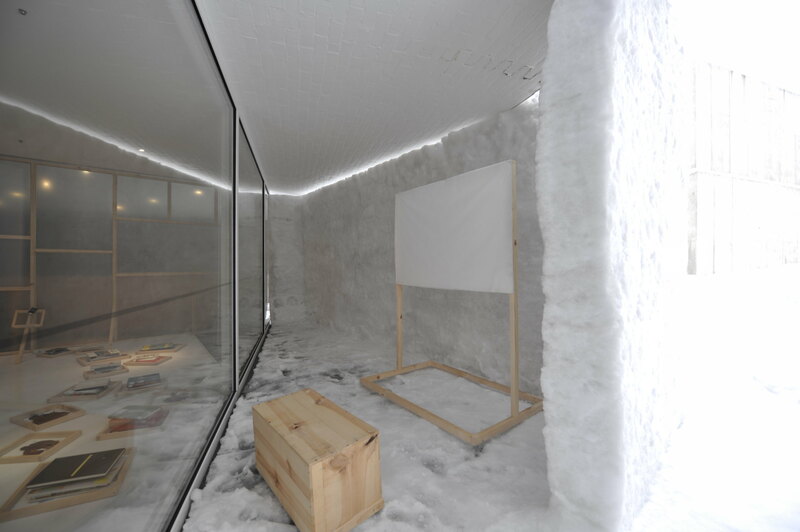 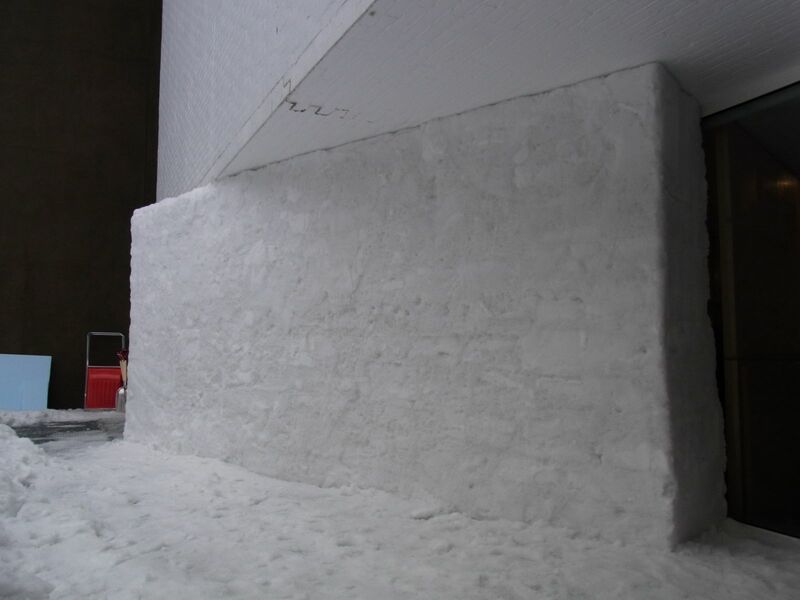 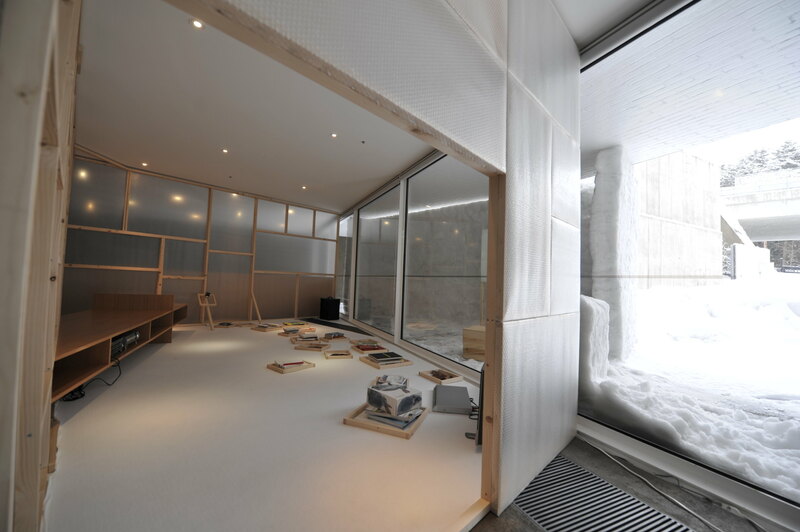 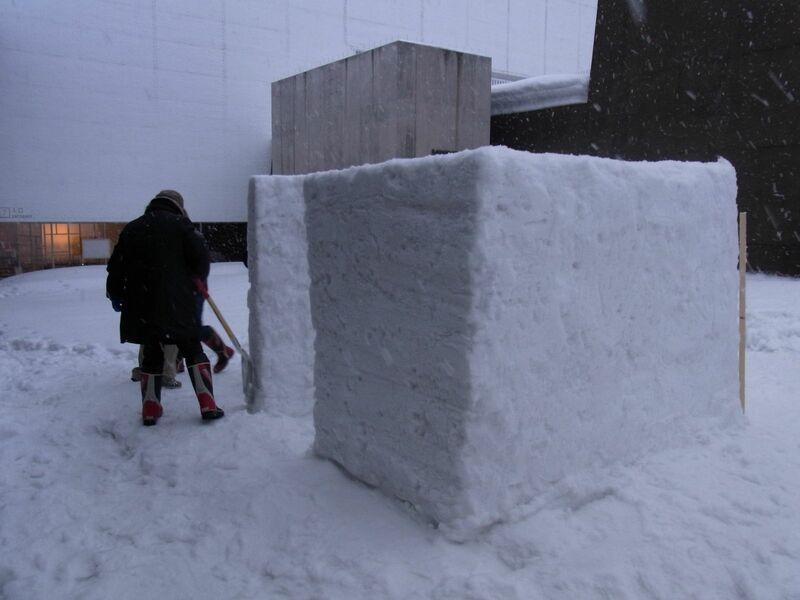 Half of the cube was built inside in December by wood frames and bubble wraps, while the other half was built in February with blocks made of snow. 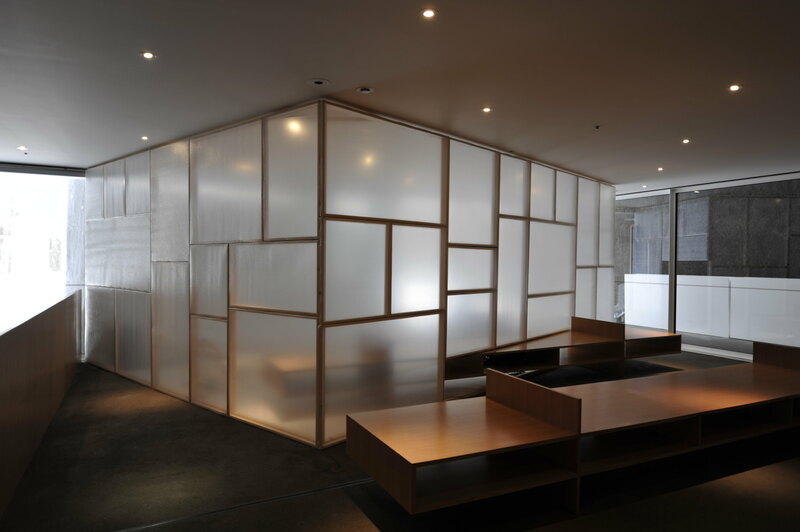 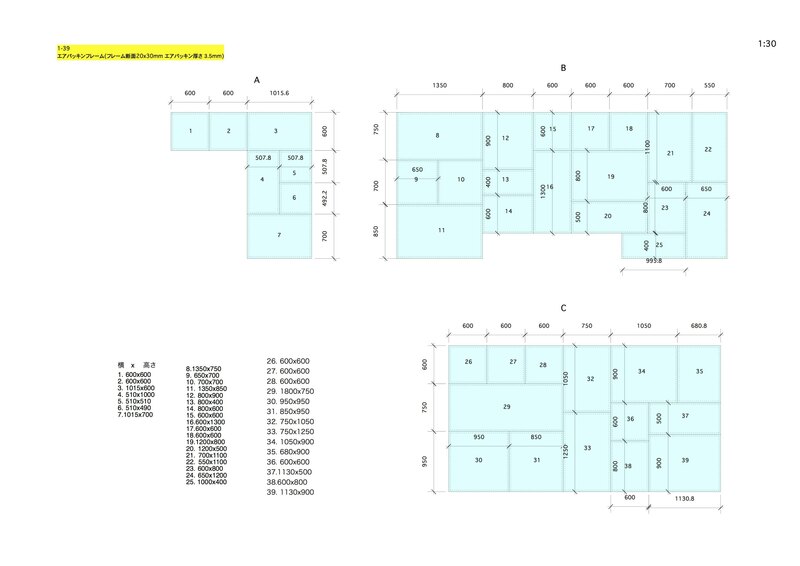 The coupled spaces facing to each other are separated as inside / outside while they can both be called inside, too. 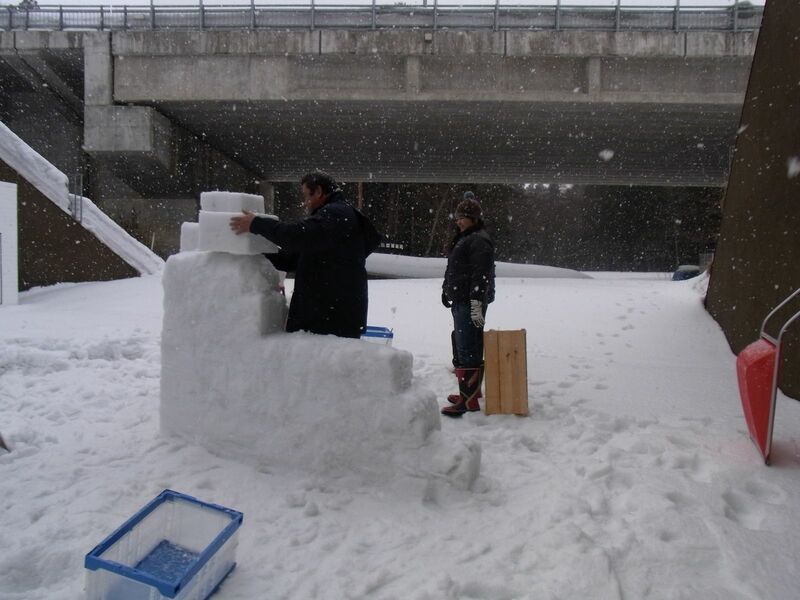 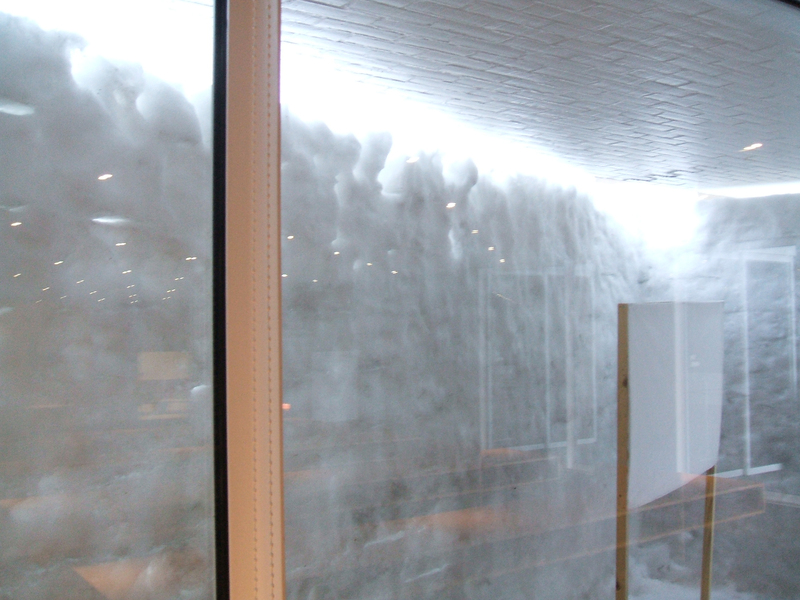 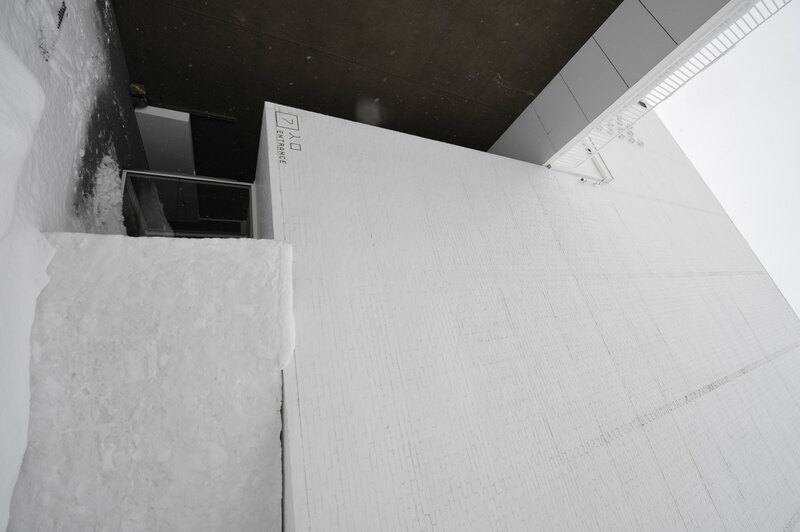 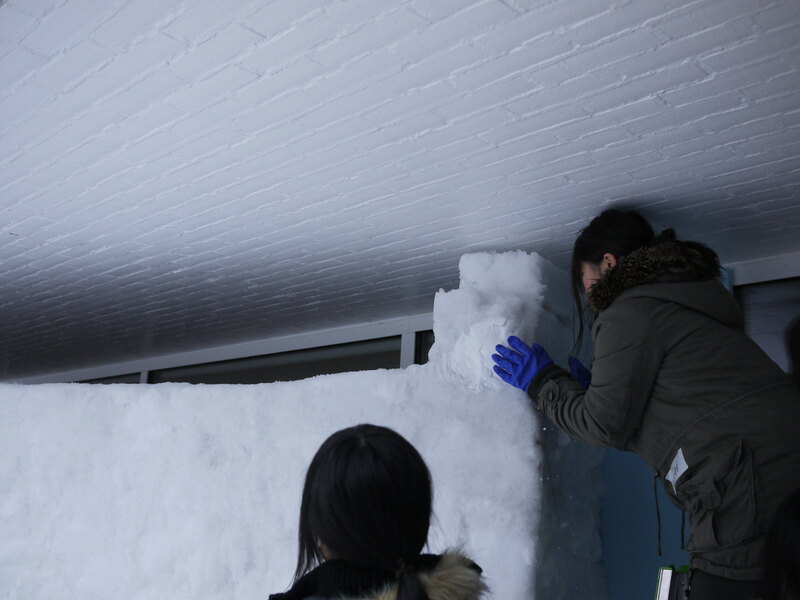 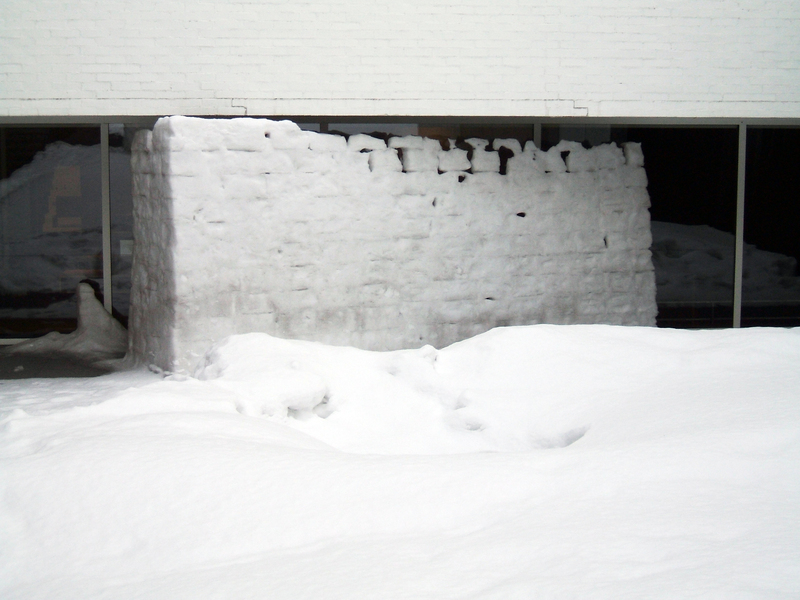 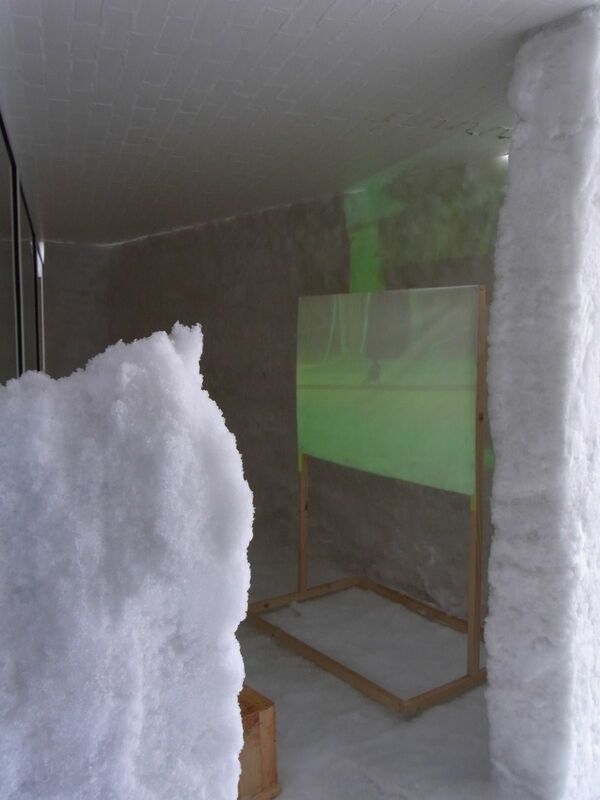 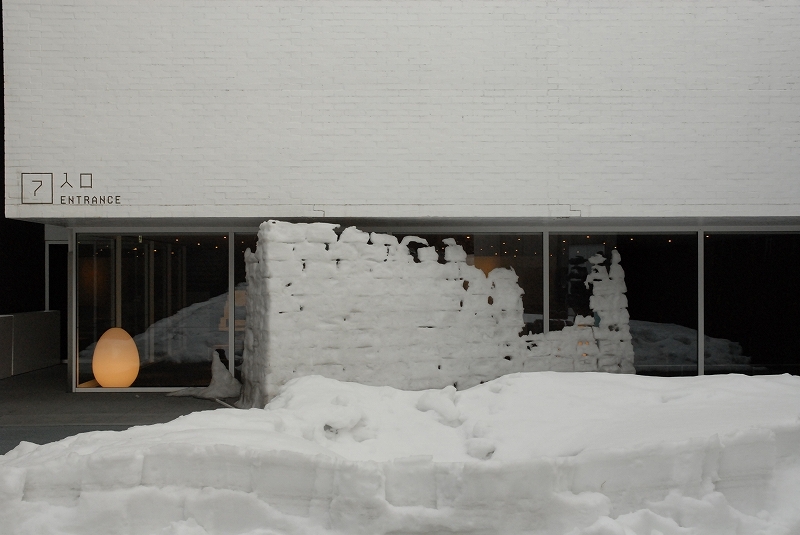 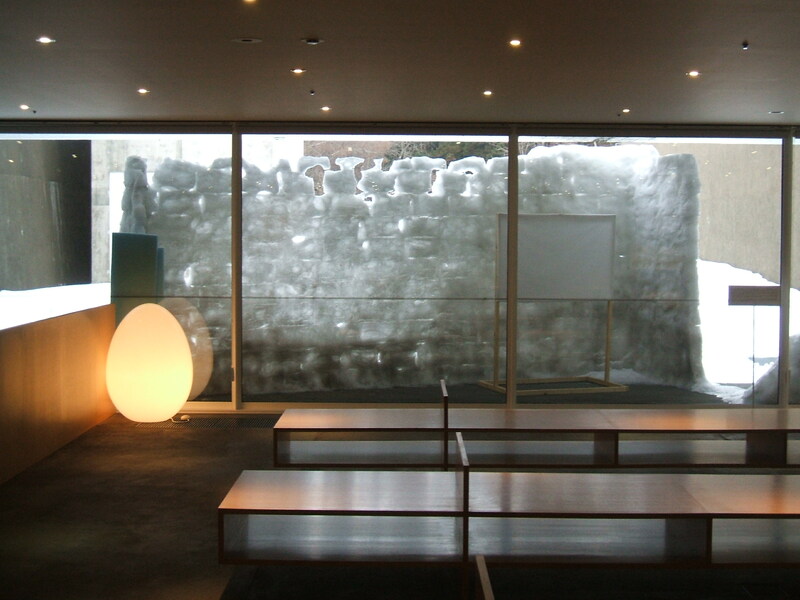 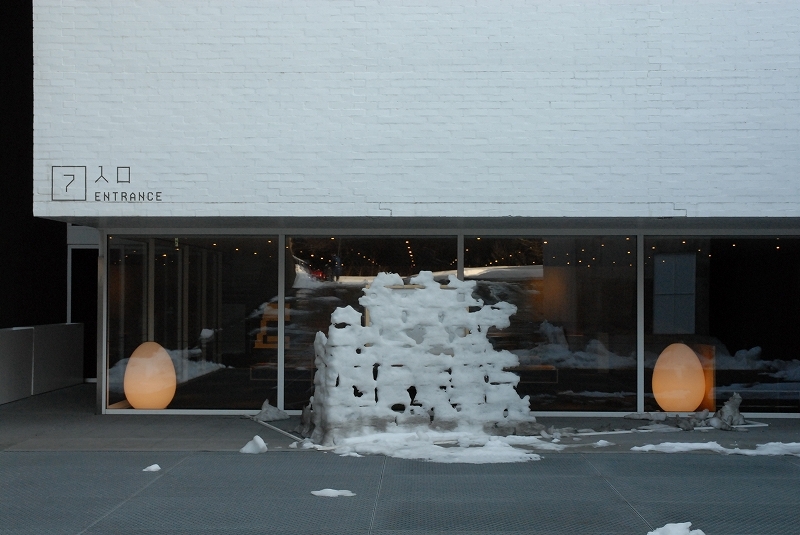 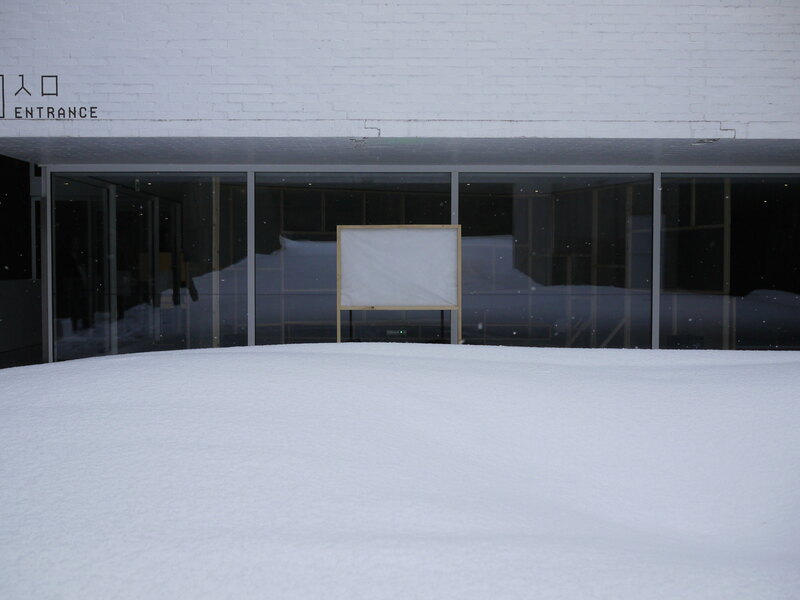 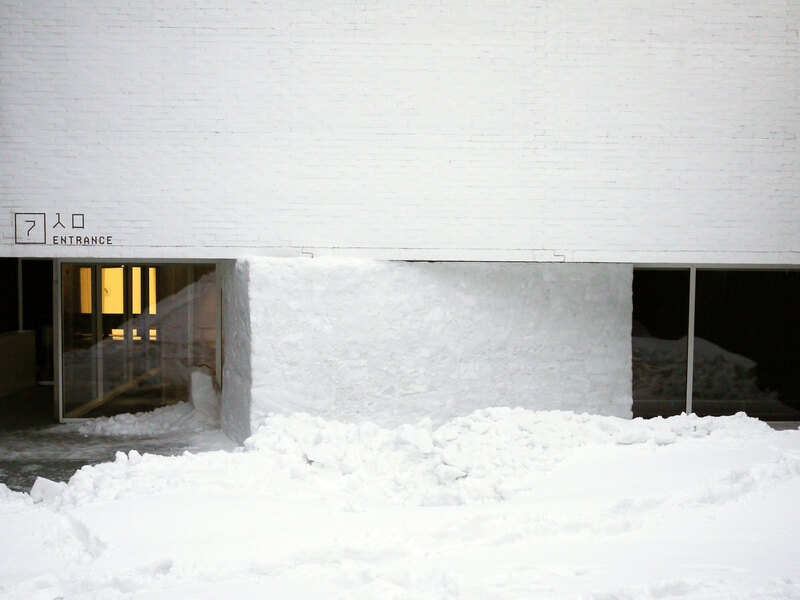 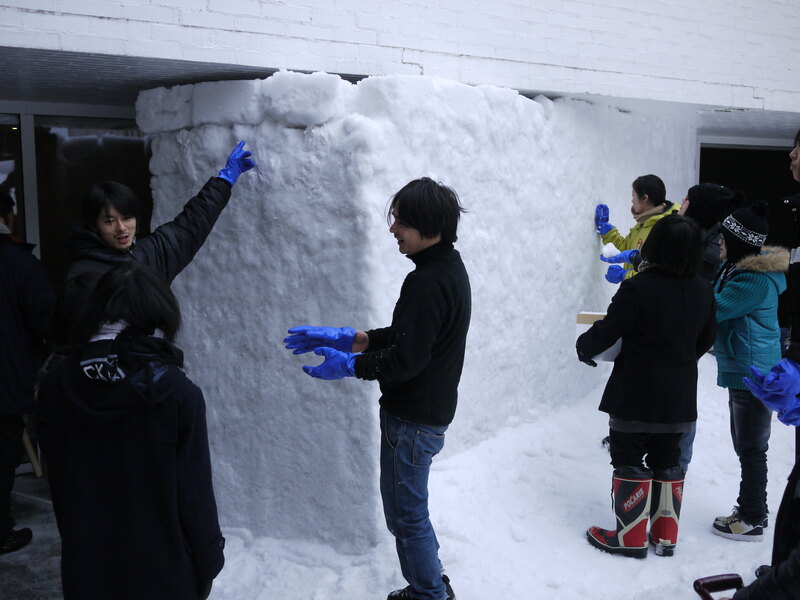 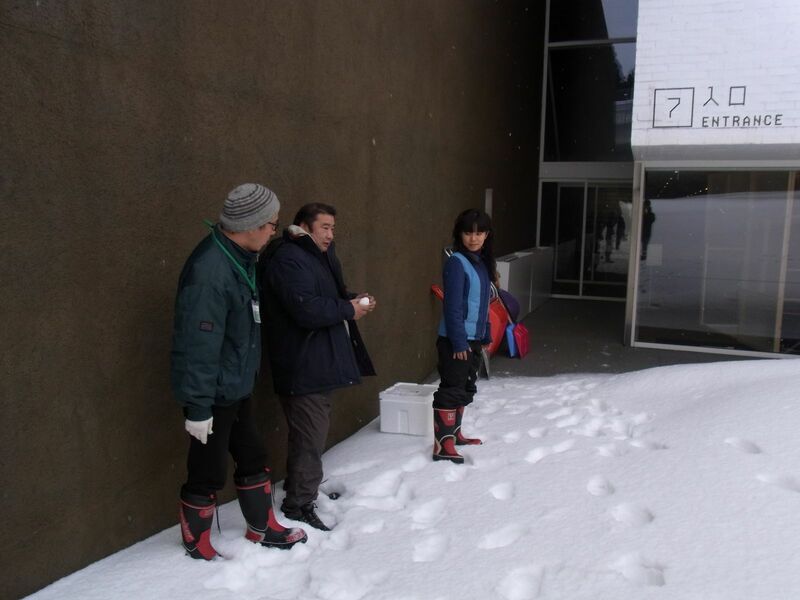 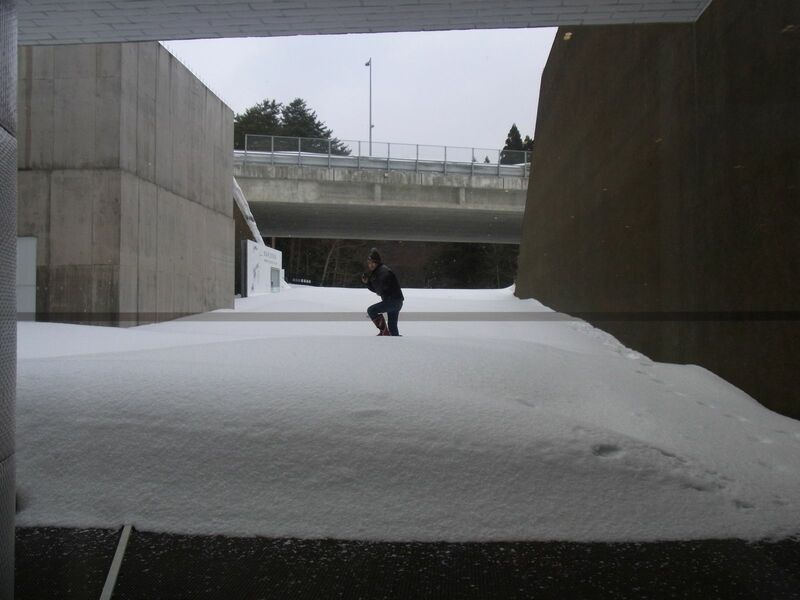 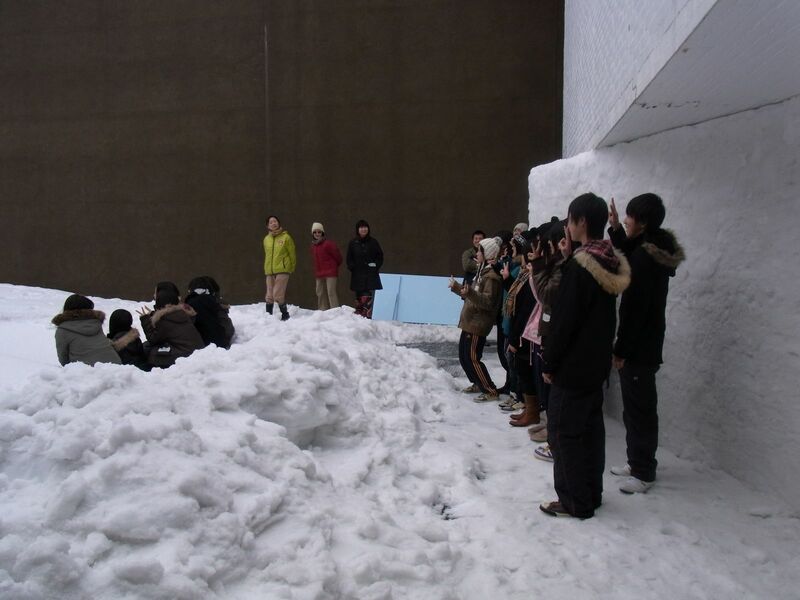 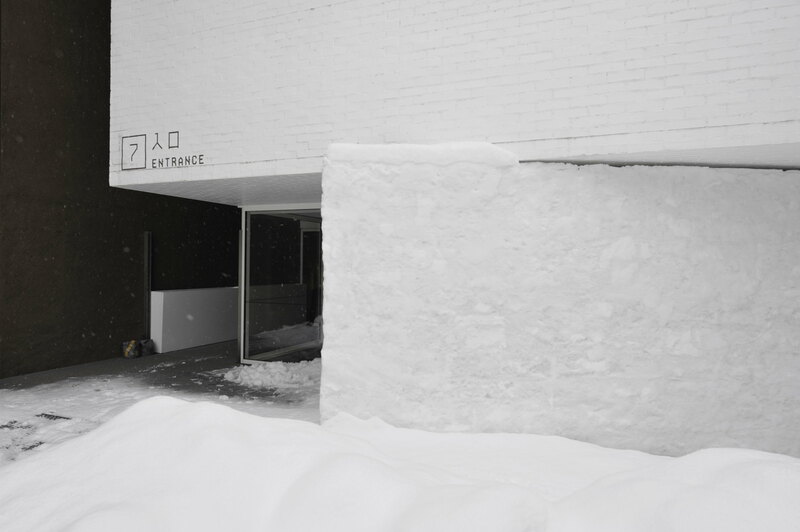 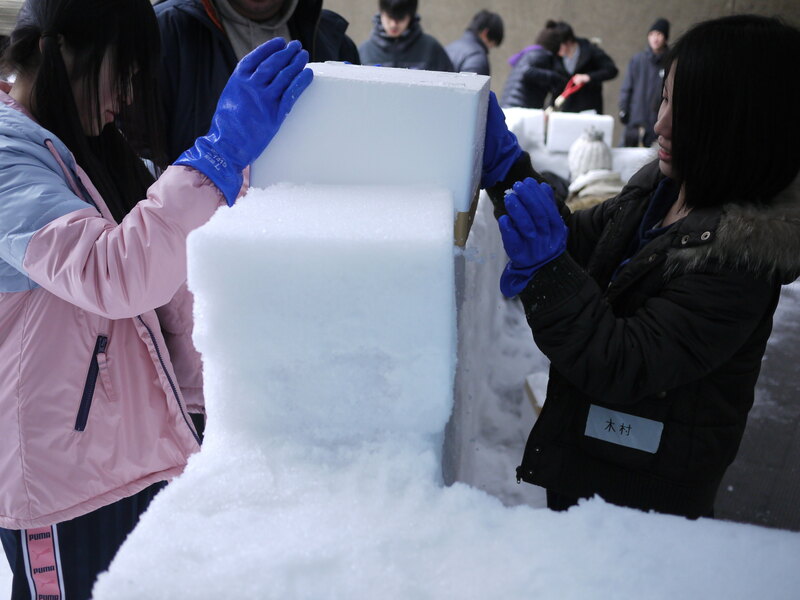 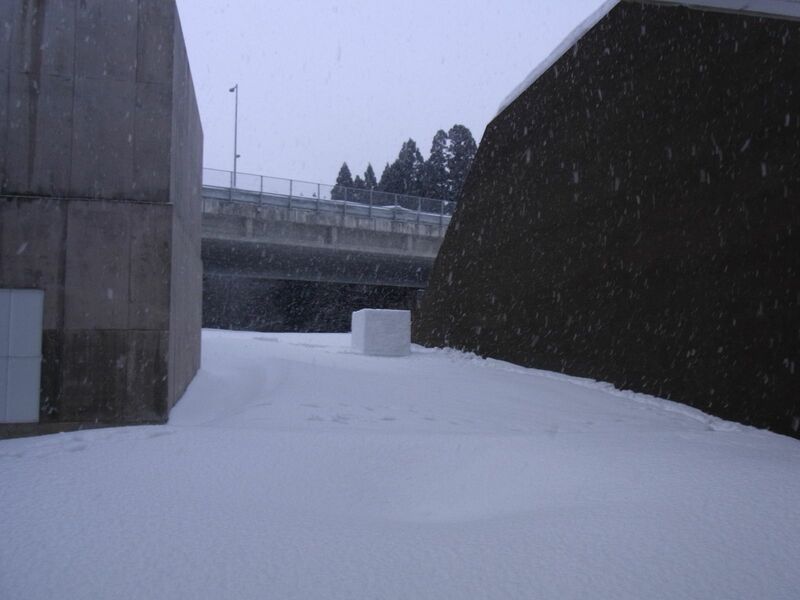 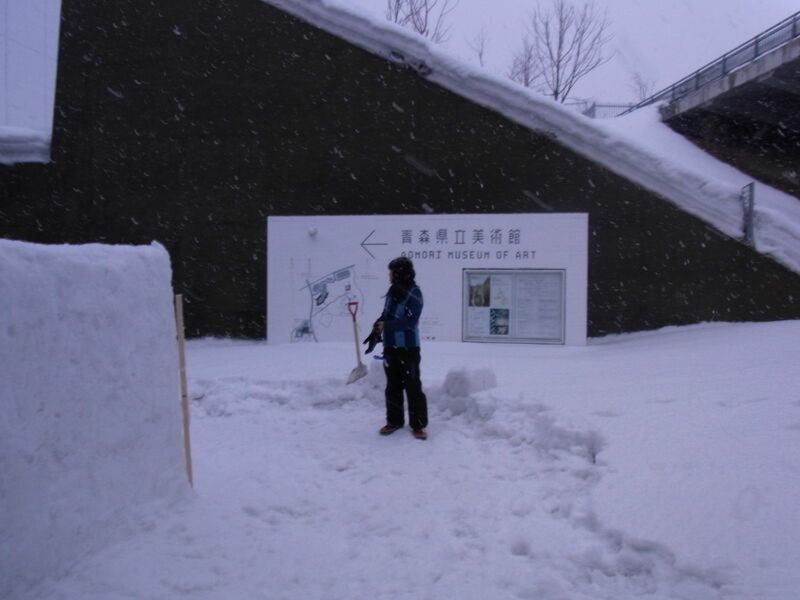 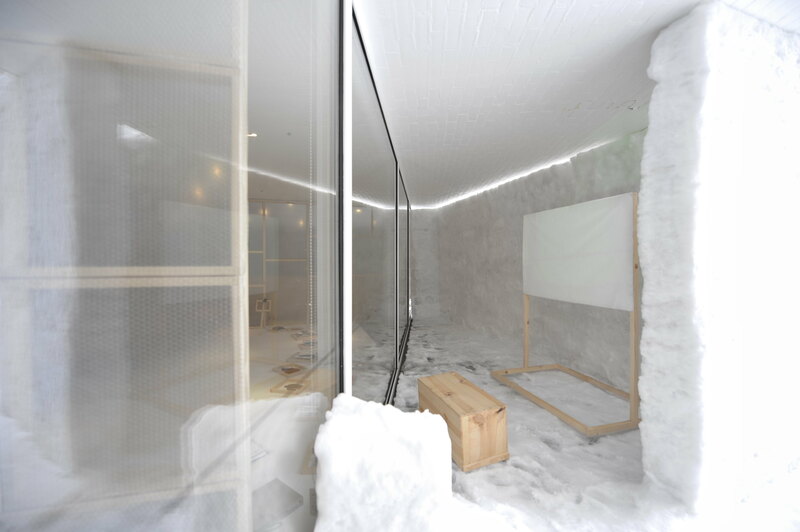 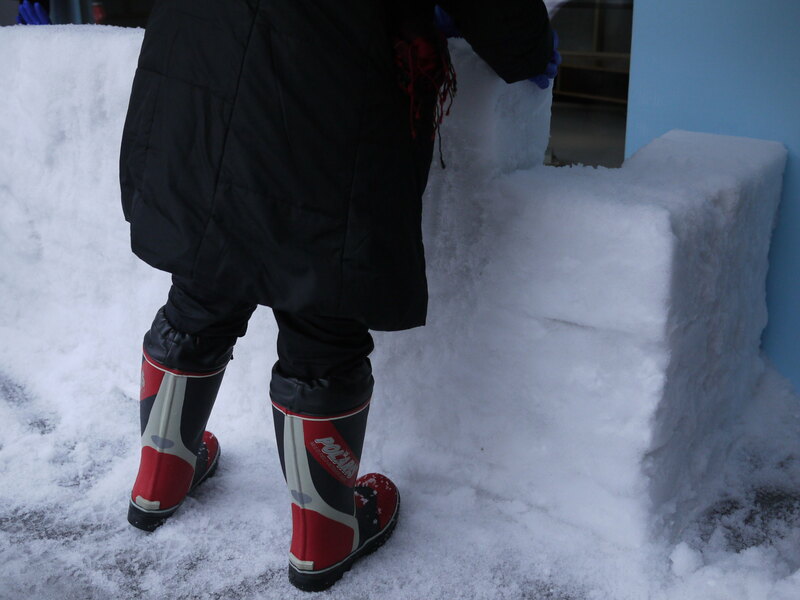 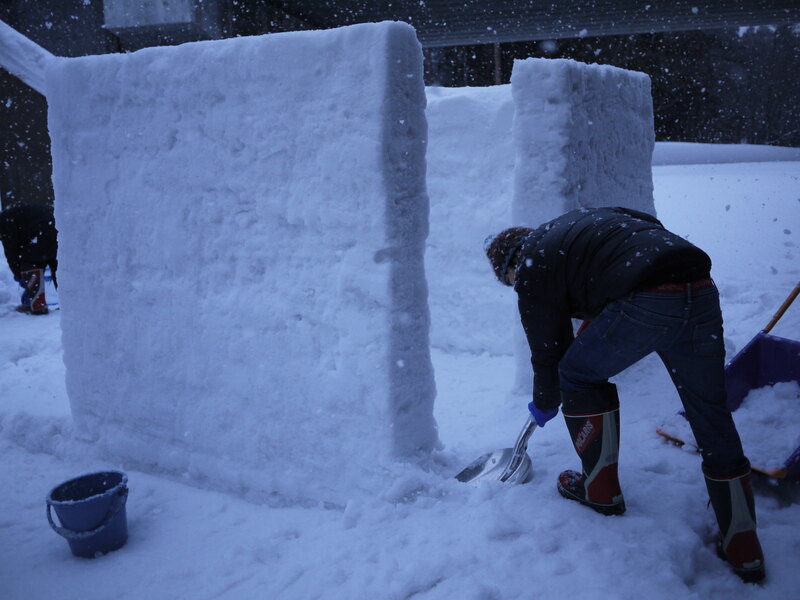 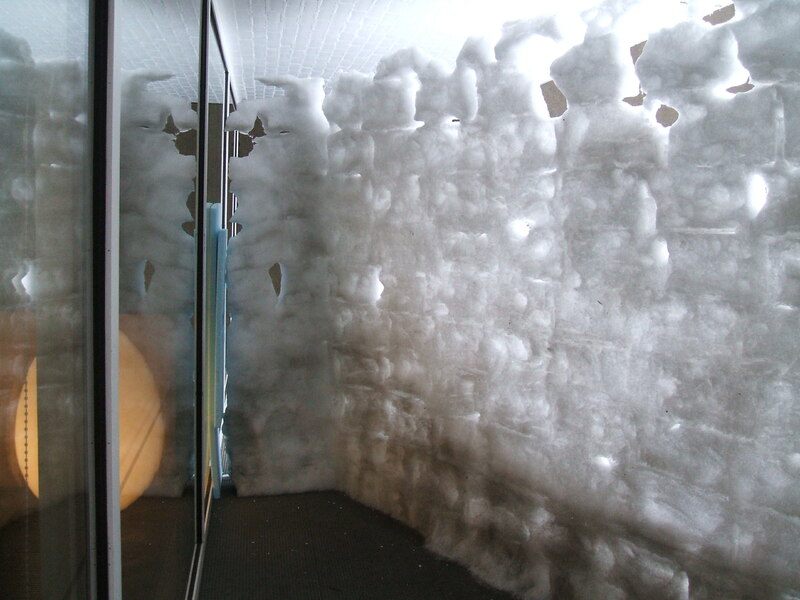 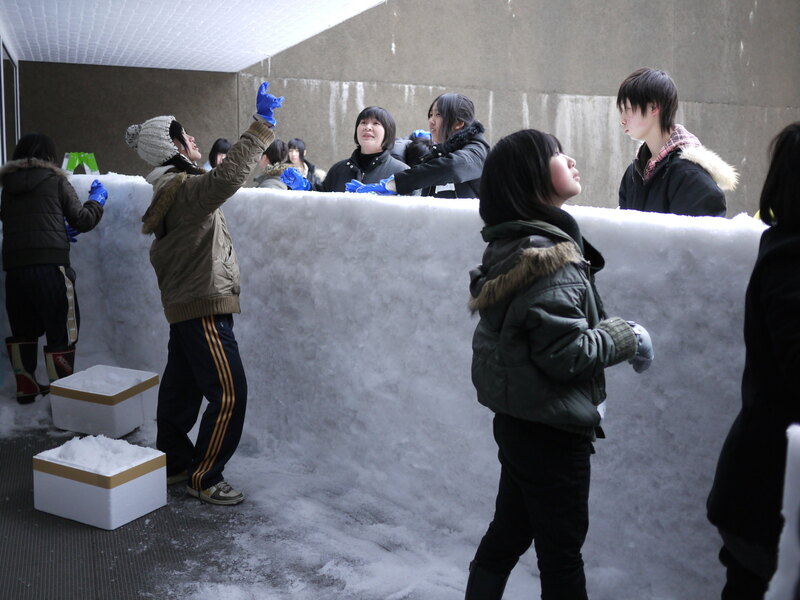 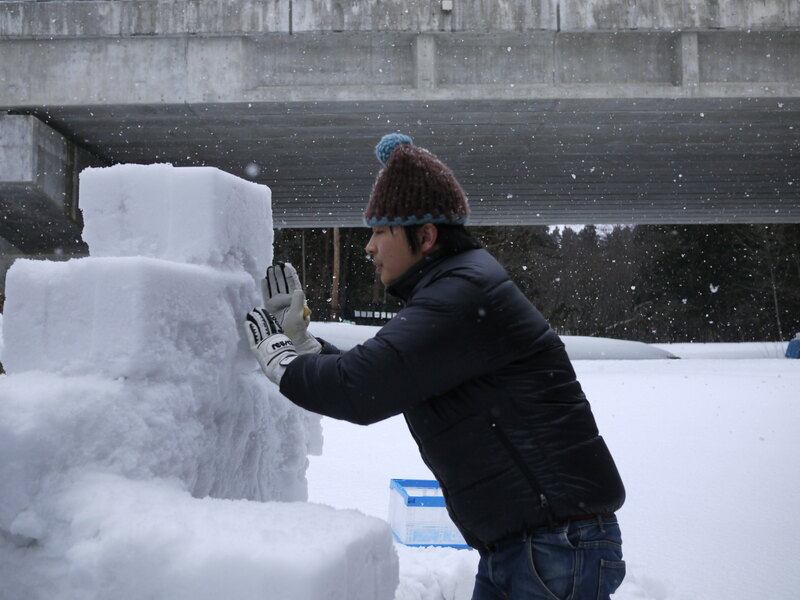 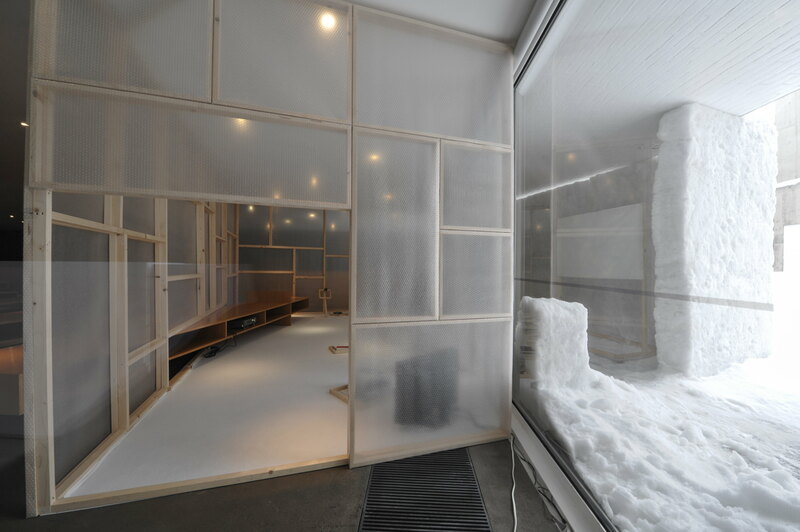 After the exhibition period, the space inside the museum was dismantled but the snow structure outside was kept for more than two months until it disappeared by itself after spring had come. 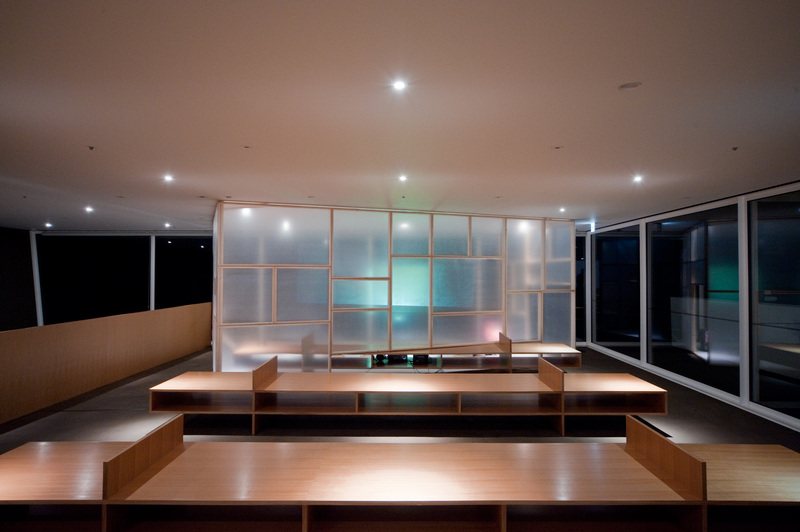 The project was conceived as an architecture that has neither clear beginning nor ending.